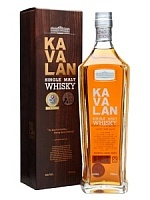 Home WHISKY & WHISKEY Whisky Tasting Notes Kavalan – Now Available at TWE! 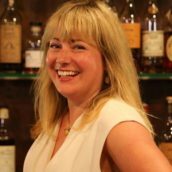 The world of international whisky is growing but one of the barriers to the spreading of the various brands to all four corners of the globe is the joy of distribution. It’s hard to send bottles of booze across borders and is not only expensive but takes a rather long time. So, when a new whisky appears on the shelves at TWE from a country that we’ve not been able to get whisky from in the past it’s quite exciting. Step forward Kavalan from Taiwan. 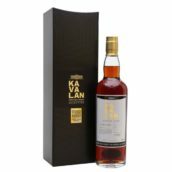 Kavalan has become increasingly well known over the last few years ever since The Telegraph organised a blind taste test for Burns Night 2010 and the Taiwanese whisky came out as the top dram of the night. 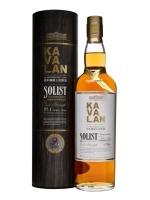 It wasn’t a particularly difficult field to go up against, with The English Whisky Company’s Chapter 6 as the only really comparable dram, and Bruichladdich’s X4+3 along with a pair of cheaper blends making up the rest of the competitors, but it did make sure that the name Kavalan was known in the whisky world. Jump forward to the present and unfortunately it’s still not been possible to get Kavalan’s whiskies outside of south-east Asia. A small amount should soon be popping up in Canada and there’s a few bottles in France but other than appearances at a couple of whisky shows (including our own TWE Whisky Show in October) it’s been rare as hen’s teeth outside of its home market. But no longer! We now have the Kavalan range available online as well as in our London shop, from the light and fruity Single Malt all the way up to the massive Solist Sherry and, whilst stocks last, the stunning Fino. 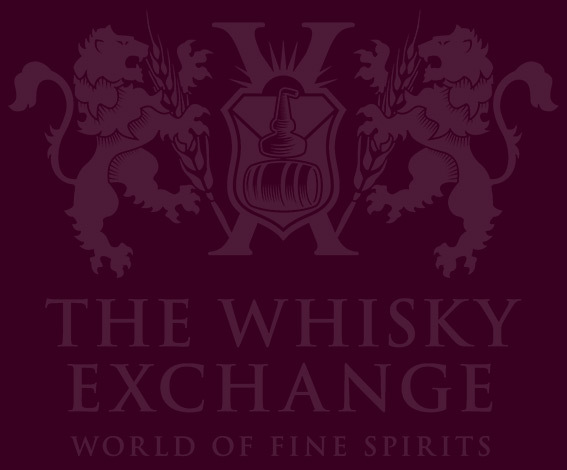 You can find them all over on our new Taiwanese whisky page. Anyway, commerce out of the way here’s a bit more about Kavalan. The distillery is a venture by King Car, one of the largest food and drink companies in Taiwan with operations spanning the entirety of east Asia. 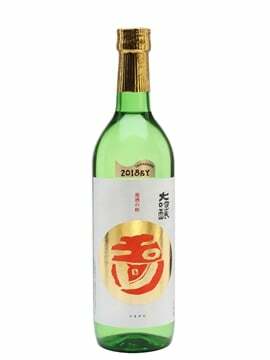 In 2002 Taiwan joined the World Trade Organisation and this, along with some amendments to the laws governing brewing and distilling, inspired them to look towards the world of whisky production. Taiwan is a huge whisky market, entirely based on imports from around the world, and was ripe for a local company to step in and produce a Taiwanese whisky. 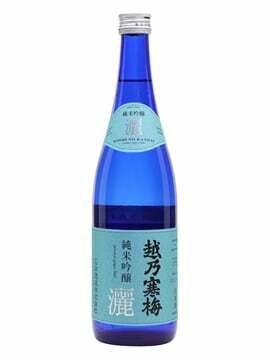 They already had a mineral water bottling operation near Yilan, at the junction of the Snow and Central mountain ranges, and extended the site to also include a distillery and warehousing. The build progressed impressively quickly, starting in April 2005 and finishing in December, with test production runs happening until March 2006. Within a year of work starting on the site the first spirit was running, with the first proper distillation taking place at 3:30pm on March 11th 2006. They didn’t get that far entirely on their own, bringing in distillation expert Dr Jim Swan, also known for his work with Kilchoman, Penderyn and Annandale amongst others. Along with the herculean task of designing a spirit that would have the flavour profile that Kavalan were after, Jim had a serious environmental factor to deal with – Taiwan’s climate. The yearly temperatures in Yilan range from 10°C to 38°C, leading to a significantly higher level of evaporation: 15-20% per year rather than Scotland’s more sedate 2-3%. The temperature has two main effects in the maturing spirit: Firstly it accelerates the interaction between the wood and spirit, seemingly making the spirit ‘mature’ faster. It’s not quite ‘maturing faster’, as there’s a lot more to whisky maturation than wood and spirit interaction, but it does mean that the whisky picks up flavour in just a few years. This is quite lucky as the second effect is that the amount of spirit in the casks drops very quickly – at 15% evaporation per year the cask will almost be empty after 5 or 6 years, so they need to bottle their whisky young in order to actually have any to bottle. Jim worked with master distiller Ian Chang to design a spirit that would hit the various targets they required: fast maturing, able to work well in the heat and with the correct fruity flavour profile that they wanted to produce. From the evidence of their released whiskies they’ve done rather well. Nose: Floral and fruity, with mango, apple, sour grape and some light solventy notes – plasticine and glue. Palate: Vanilla, butter, spongecake, cinnamon, light lemon cream and some more fruity mango. Finish: Short and sweet, with butter and light oak. Part of Jim’s involvement has been in cask selection, with some interesting things going on with the wood that they use. 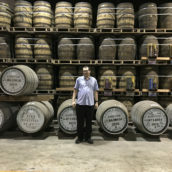 Along with Bourbon and Sherry casks they also use Port and wine casks, as well as altering the casks to work better with their spirit and the Taiwanese climate. Nose: Rich fruit, black liquorice, red wine, dried cherries and apricots, and marzipan. 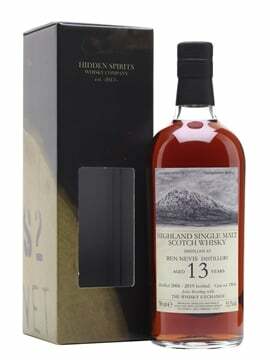 Palate: Big sherry fruit with more liquorice, sugared raisins, sweet red grapes and some woody spice. Finish: More raisins, sweet grape juice, some tannic grape skin and some cinnamon bark. The two whiskies that they are most known for in the UK are the other two members of the Solist range – Bourbon and Sherry. 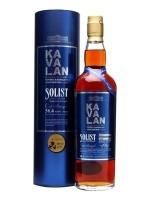 Compared to some of the experiments they’ve been doing these are rather simple whiskies – single casks matured in either first-fill bourbon or sherry casks and bottled at cask strength, but without any ‘tampering’ they’re perfect showcases for Kavalan’s spirit, especially as the whisky doesn’t stay in the cask for much longer than 3 or 4 years. Nose: Classic bourbon cask notes of vanilla and coconut, with uncooked spongecake mix, cinnamon, tropical fruit and caramelised bananas. 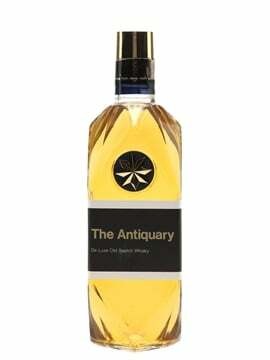 Palate: The wood makes itself known, with a dry and quite tannic edge that is balanced by caramel, lemon sherbert, apples and vanilla custard. Quite hot. Water: With a cask strength of around the 57% a drop of water is needed, calming down the heat and sweetness, and bringing out some sour apple and a hint of menthol. Nose: Prunes, stewed raisins, PX sweetness, salty liquorice, menthol, marzipan, dark fruit cake and clove. Palate: Not as sweet as the nose suggests, with sour plums, red grapes, grown up fruit cake, cinnamon and cloves, some balancing marzipan and a hint of liquorice. Water: Again, cask strength is aroung the 57-58% mark and a drop of water helps calm down the heat, but makes things a bit more intense, with butter, cream and wood becoming more fruity than woody. Finish: Long and woody, with dark fruit notes. 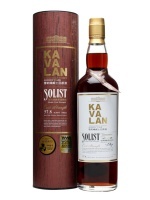 We’ve known for a while that Scotch, Irish and American whiskies had up and coming competition, but with Kavalan starting to make its way out of Taiwan and out into the rest of the world another country has entered the fray. 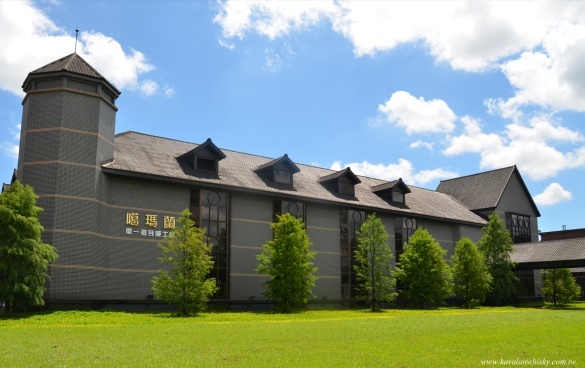 With more distilleries starting in Taiwan and Kavalan having extra capacity already built and ready to switch on they seem to be up for the challenge, and I look forward to seeing what comes out of the country over the coming years.